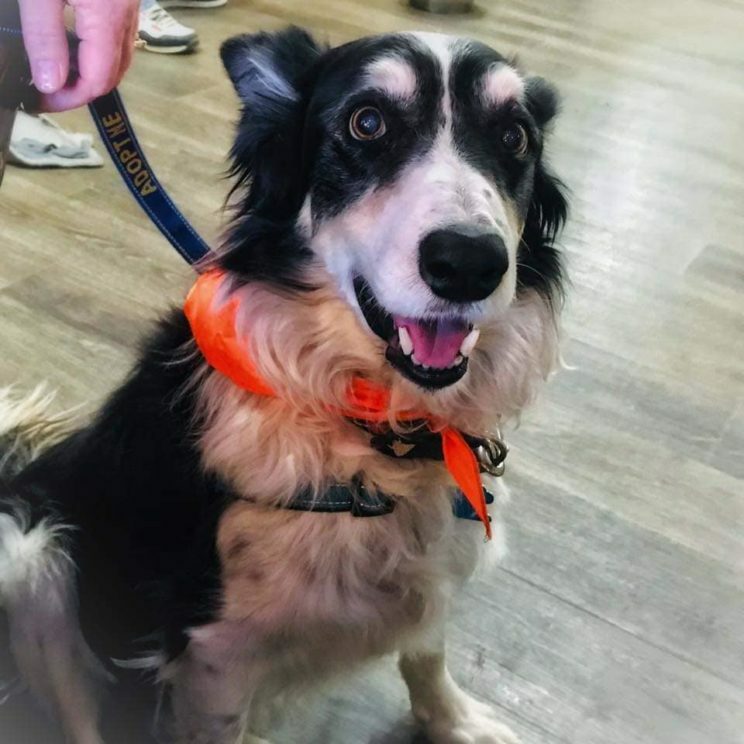 A dog available for adoption from the Humane Society of Fremont County, one of the brightest spots in Colorado’s constellation of progressive sheltering communities. A new study analyzing 15 years of intake and outcome data for animal shelters in Colorado finds that adoptions dramatically increased, killing dramatically declined, and Colorado could easily be a No Kill state. The study identified several programs of the No Kill Equation, such as community cat sterilization, public relations and marketing, medical care programs, and renewed emphasis on adoptions, as factors driving the skyrocketing placement rate. While the study covered the period 2000 to 2015, the bulk of improvement occurred after 2008. This is significant. Cat intakes and killing, for example, increased from 2000 to 2007, but then declined sharply after 2008. While dog intakes decreased throughout the 15-year period, “[m]ost of the decrease occurred in the period from 2008 to 2015.” And adoptions exploded after 2008. Why? That was the period marked by the publication of Redemption, my book that dramatically changed the animal welfare landscape, the resulting explosion in demands by animal advocates for No Kill solutions and the corresponding increase in shelters embracing the No Kill philosophy and, more importantly, the programs and services of the No Kill Equation which make its achievement possible. Prior to 2008, regressive movement policies advocated by groups like HSUS, the ASPCA, PETA, and Colorado coalitions dominated. After Redemption was published, the meteoric growth of the No Kill philosophy drowned those voices out and in the case of HSUS and ASPCA, forced them to embrace our approach, such as community cat sterilization/TNR programs, elimination of BSL, and rehabilitation of dogs with perceived behavior impediments. State that “research is needed to understand how an increase in the LRR” influences “the incidence of animal bites…” A previous study by one of the authors of the current study debunked this myth, finding no evidence for this proposition. In fact, it found evidence against it. The prior report concluded that moderate to severe dog bites did not significantly vary before and after the implementation of a No Kill initiative. In short, the dogs saved in municipalities with very high LRRs are not a public safety threat. Finally, Colorado’s improvement as measured over 15 years is certainly dramatic and worth celebrating, but it is now stuck and has been for a number of years. The state has been on the cusp of a 90% live release rate for both dogs and cats (and for rabbits, birds, small mammals, and others) for far too long and it isn’t crossing it. Why? Progress in many areas is being weighed down by too many shelters which are content with mediocrity. That Colorado’s improvement has stalled and can be improved via shelter reform legislation is not discussed in the study or suggested as an area for further inquiry; the study authors instead chose safer, more traditional, and more conservative ideas. Ironically here too, the prior study by one of the current study authors referenced above also concluded that shelter reform legislation worked and was worthwhile. It found that not only is a high LRR achievable at a municipal shelter, it can — and by inference should — be legislated. Despite these errors, the study proves that shelters can dramatically increase adoptions, reduce killing, and maintain high placement rates at municipal facilities and, perhaps even more exciting, on a statewide scale. “Temporal trends in intake and outcome data for animal shelter and rescue facilities in Colorado from 2000 through 2015” is available by clicking here.